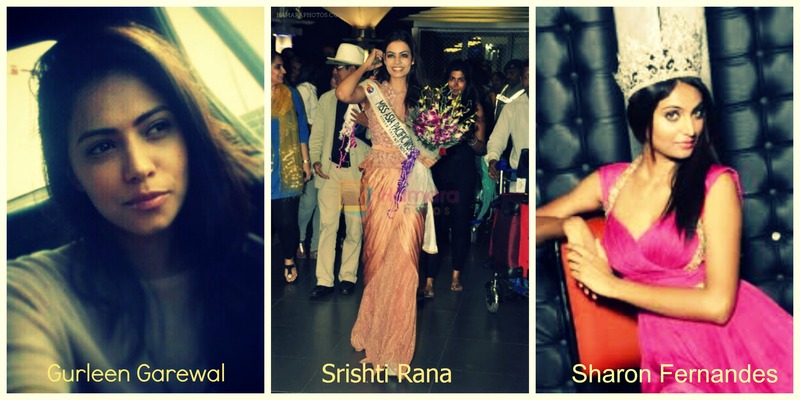 Gurleen, Srishti & Sharon sweep Top 3 for Best Body Miss India 2013…!!! As promised, here I come with the 3rd Sub-category for the selection of Best Miss India 2013..!!! 8) Miss Grand International India: Roopa Khurana. Winner: Miss International India, Gurleen Garewal. This came as no surprise that Gurleen swept away the title of Best Body for the year 2013 amongst 8 Miss India. Infact, all our judges voted for Gurleen as a winner in this category. the body of Gurleen is a bang on and if she had competed in Miss Universe, we are sure she would have been amongst Top 3 in swimsuit round. Her contagious smile adds a charm on her face and her easy going personality is like an icing on the cake of her pitch perfect body. It is to be noted that India struggle in this department most of the times and its very rare to see some Miss India in perfect body tone from the day she wins national pageant. But Gurleen is a perfect example for this and we hope that the girls coming next year take a leaf from her book and set an another benchmark. 1st Runners Up: Miss Asia Pacific World India, Srishti Rana. Now this was a tough decision to break a tie between two girls. Srishti Rana and Sharon Fernandes. Both of them had well toned body, when Srishti is fierce, Sharon channels exotic look. Srishti won over Sharon with mere difference of 0.2 point. However, Srishti deserved this spot a big time. This girl had come a long way and had made India proud at an International Pageant by winning Miss Asia Pacific World 2013, back to back. As we mentioned for Gurleen, had this girl gone for Miss Universe, she would have rocked the stage with her burning look and knocking body..!!! 2nd Runners up: Miss Intercontinental India, Sharon Fernandes. As mentioned, Sharon almost made it as a 1st runners up spot but however just lost because of 0.2 points. But either way, she made it as one of the best bodies of 2013 amongst Miss India. She was just so exotic during the swimsuit round of Miss Intercontinental 2013. I am sure, she would have scored above 9+ points in Swimsuit round, only if her gown was a bit better, she would have made it to the top 15 of Miss Intercontinental. The pic here is taken by Neil Grake, which was during a photo shoot, screams hotness at its peak. Her long silky hair added an excellent package to her presentation. Congratulations to all the girls..!!! Next Stop: Best Speaker-Miss India 2013. Don’t lose hope is the moral of the story!